VIVA-Ferien was founded in 1992. Our serviceoffers are specialized in tourism and real-estate. Since beginning our company was divided in incoming (rental of local holidayapartements) and outgoing (travelagency). Selling real estate was born through the rental which we are proud to say, that we have the widest choice of real estate in St.Moritz. In 1986 Nicole got the travelbug which resulted in her studying tourism. The experience in different travel agencies in Switzerland gave her the possibility to be a tour guide in the big wide world. Back in Switzerland Nicole worked as a Chief Receptionist in hospitality until she joined VIVA-Ferien in 1999. “Personal seeing and enjoying is different than told about it”. 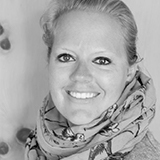 Since the beginning Ruth works in different departments of the Swiss hotel industry with a degree at the hotel management school Lucerne. Ruth is a very big fan of the Engadine Valley and knows the most beautiful hide aways with hiking, skiing or biking. "Our common goal is your unforgettable holiday"
Born in St. Moritz, Barbara completed her apprenticeship at the community office of St. Moritz. She found her passion in the hotel industry and experienced it for the past 10 years. As a local she wants to provide an unforgettable stay for her guests in one of the most beautiful valleys in the world. “your anticipation – our responsibility” .